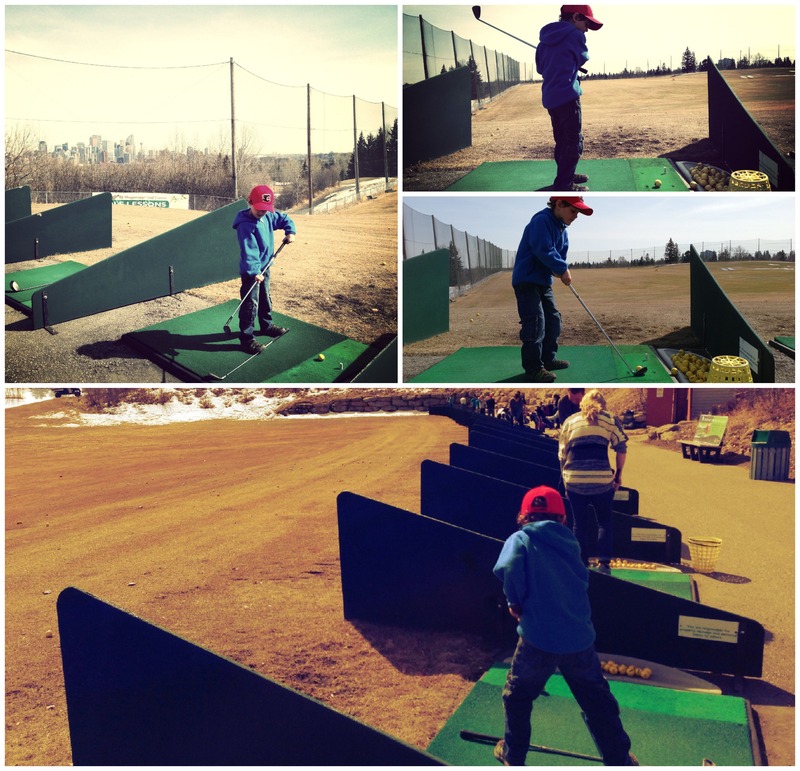 Nose Hill Park is a massive 11 square kilometres in central Northwest Calgary. The hill most likely gets its name from the fact that, from certain locations and with a little imagination, it looks like a nose. 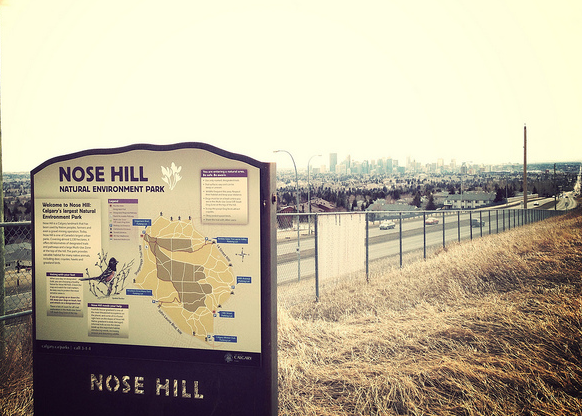 Hiking in Nose Hill Park in Calgary is a popular choice for thousands of Calgarians – with dogs. 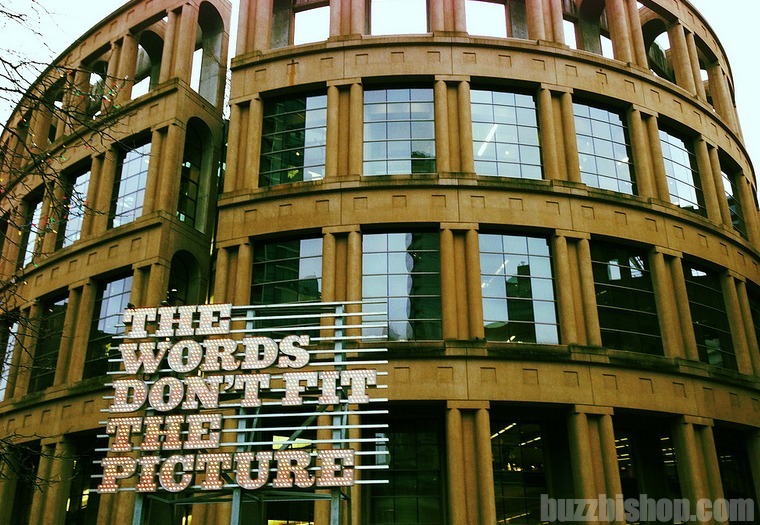 Most of the park is reserved as a huge off leash area, which is something you should take into consideration if you want to spend some time wandering one of the largest municipal parks in North America. 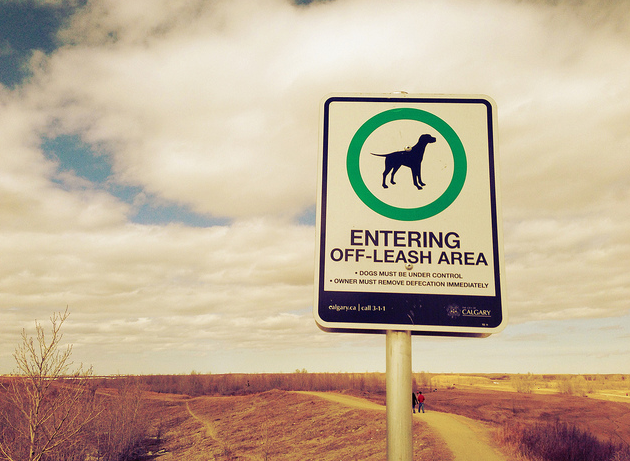 While most of the North and central parts of Nose Hill Park are reserved as off-leash, the owners will let their dogs run anywhere they please. Our Sunday afternoon geocaching run over the southern ridge still had us waving off charging pooches. And then comes the poop. 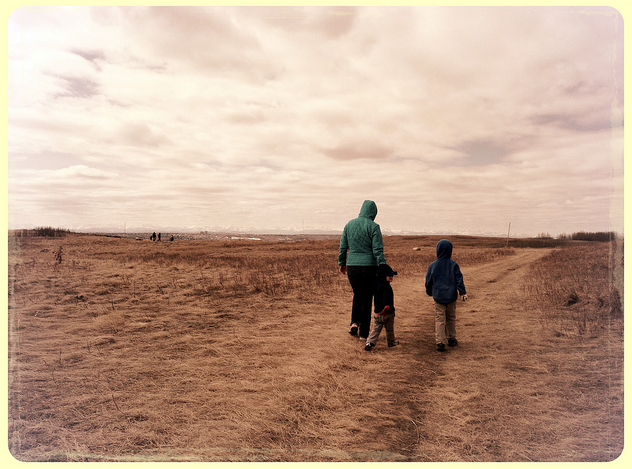 With dogs running free in a park as big as Nose Hill, don’t expect the owners to run after them, baggy in hand. If you do not stick to the paths, you’ll be stepping in something you don’t want to be stepping in. 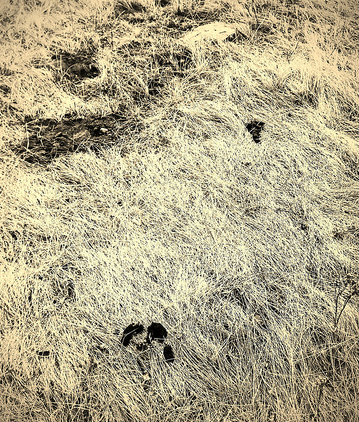 Again, even on the southern slopes, we were still dodging dog doo everywhere. 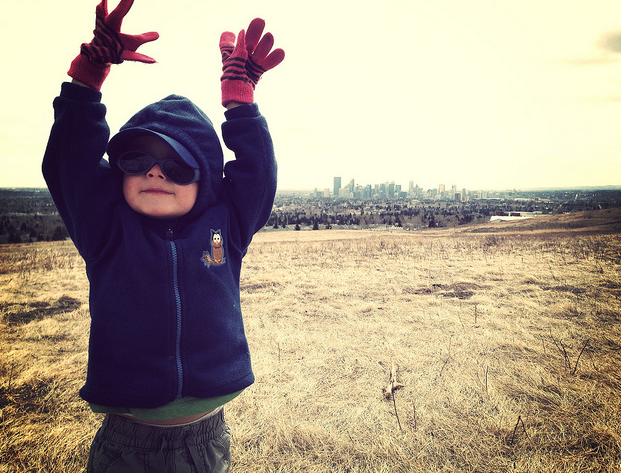 Inconsiderate dog owners aside, Nose Hill Park is a fabulous place for a family adventure within the city. 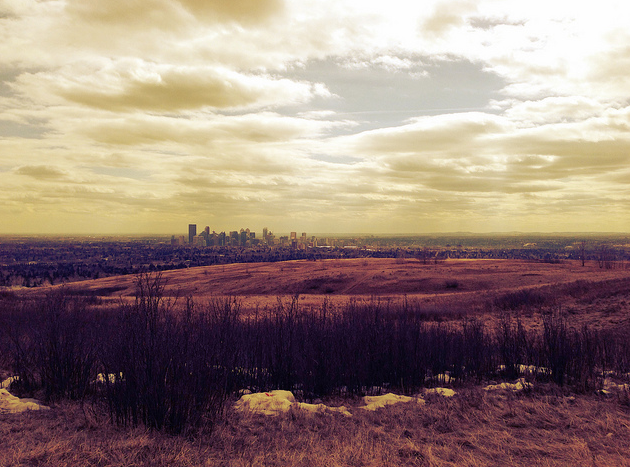 There are dozens of geocaches to discover, the views are some of the best Calgary has to offer, and the trails go on forever. 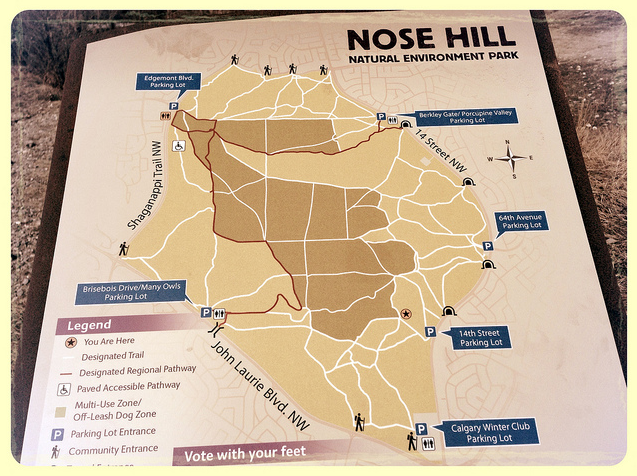 If you want to run a dog, parking in the NW part of Nose Hill is best as that gets you right to an off leash area, and the parking lot is at the highest elevation of the park (no hill to walk up). To access the more family friendly areas in the south, park off 14th St. 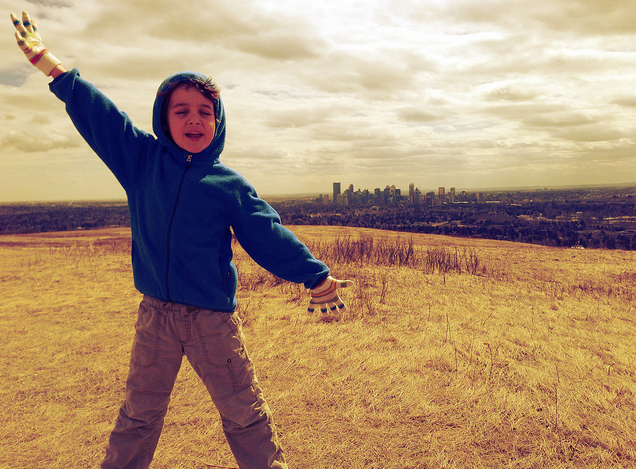 There is a bit of a hike to get to the top of the park, but it’s not as steep and strenuous as the hill you need to climb if you park on John Laurie Blvd. 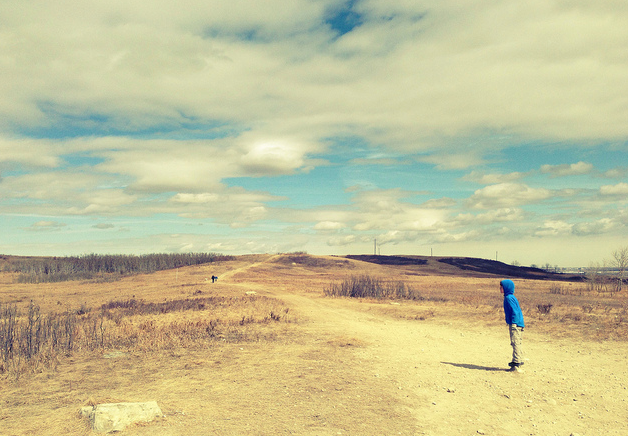 In addition to hiking, geocaching, and dog running, Nose Hill Park is also a great place to go trail running and mountain biking. The winds can whip on this very exposed piece of land, so even if it’s a nice day, be prepared for a breeze, but it’s a great area to pump a sweat and get a workout. 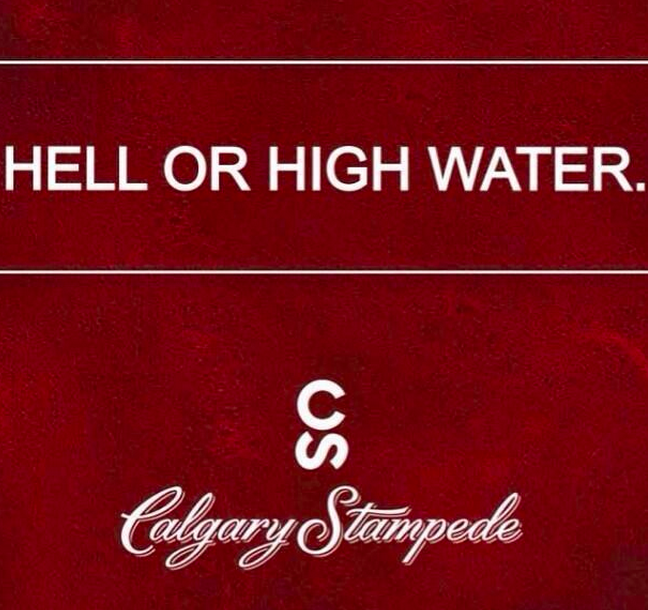 You will meet dozens of other people using the area when you head out and, if you’re lucky, you may just run into some Nose Hill Gentlemen.